New York Beauty Simplfied from Frog Hollow Designs by Linda Hahn. Quilt patterns and kits. Workshop from the AQS Award Winning Best Seller book of the same name. Learn how to make spectacular NY Beauty blocks using just ONE PIN! Students will learn Linda’s technique and be able to choose the layout they wish to use. 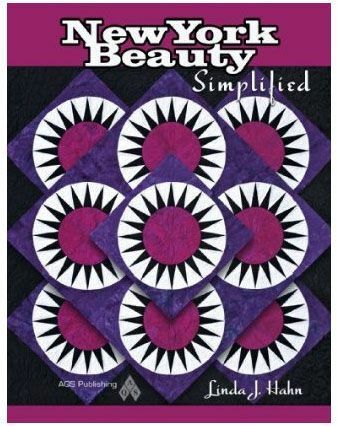 We’ll cover a really easy way to quickly paper piece the arcs (“crown”), as well as quilting options for the New York Beauty. Required Kit - includes 20 sheets of foundation paper (that can be left in the quilt), custom made acrylic templates and a reuseable paper piecing stencil.